Fishing is a recreational activity that will provide you with hours of entertainment and relaxation. 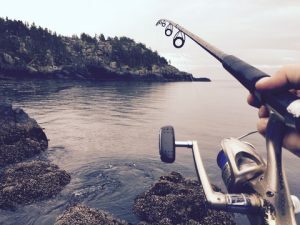 There is a wide variety of fishing types to choose from and your fishing kit will depend solely on the one that tickles your fancy. This kind of fishing is as complex or as simple as you make it. Yes, there are a number of different pieces of equipment on offer, however, much of it is unnecessary. As a beginner it always best to start with the basics. As your skill level improves and your experience increases you can begin to add to your arsenal. The first step in building your fishing kit is deciding on the type of freshwater fishing you want to explore. It’s time get yourself ready for that experience. Consider where it is you like to fish. If you often find yourself wading into water or trekking up mountain sides to reach your destination, a smaller, lighter tackle box will serve you well. For longer fishing trips this will obviously need re-evaluation. Different fishing situations will determine the type and size of tackle box suitable. If you are going to be doing a lot of fishing, you can expect to grow in experience and skill. With that comes the need for more tackle, of differing types. When buying a tackle box ensure that there is enough room in the box to allow for the expansion of your collection. The boxes are not cheap and having to buy a new one each time your purchase new tackle is simply unthinkable. Besides that, fishermen usually become attached to their equipment. Always check whether your chosen tackle box is water resistant and that the manufacturer’s warranty is in place. A warranty of at least 2 years is the sign of a reputable brand. If you are going to be spending the money, protect your investment. Copyright © 2019 whitbyseafish.co.uk. All Rights Reserved.